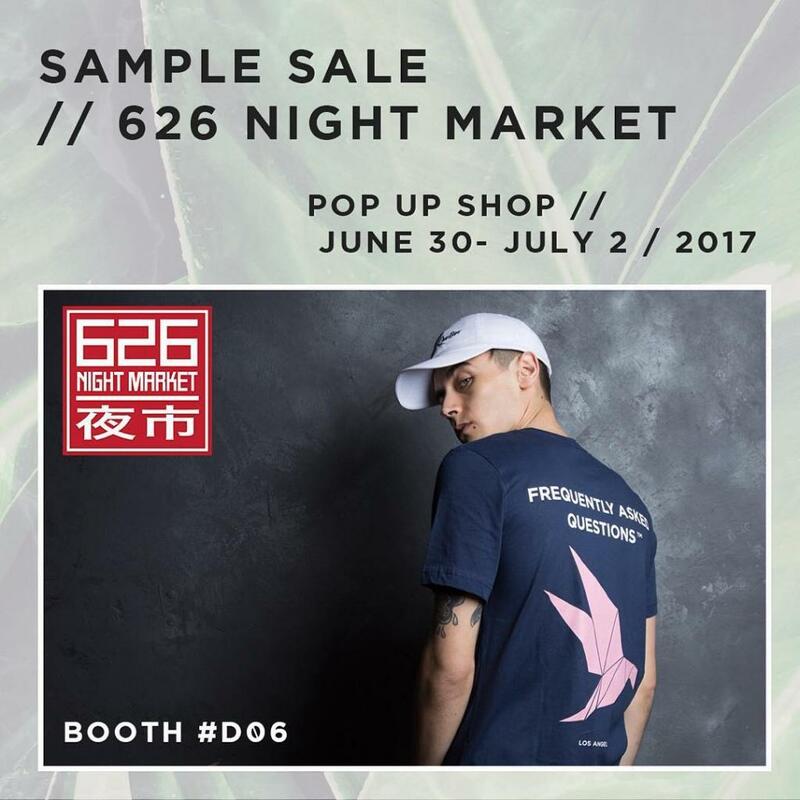 Going to the 626 Night Market in Santa Anita park? Along with plenty of food, merchandise, arts, crafts, and entertainment there'll also be a sample sale from Frequently Asked Questions in Booth #D06 too! Follow the Visit Website link for more details on the Night Market itself, and how to attend.